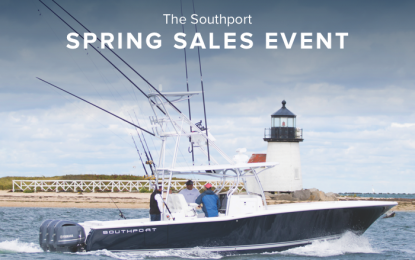 Southport Boats Announces the 2017 Spring Sales Event! For a limited time, you can earn up to $15,000 off any 2017 Southport. These savings can be applied to our most popular options to help you customize your new Southport exactly how YOU want it, including a $5,000 Southport Owner Loyatly credit for current Southport Owners. Contact your local dealer for more info, to browse inventory, and to set up a demo!